In a strategic move to further expand its operations as a multi-services provider within the property sector, Excellerate Property Services has formed a partnership with First Air Group, an established business that provides the technical aspects of facility management – comprising primarily mechanical and engineering services to commercial, industrial and retail property owners. The services provided included facilities management, maintenance and repair services to buildings, industrial plants and equipment associated with engineering support services. 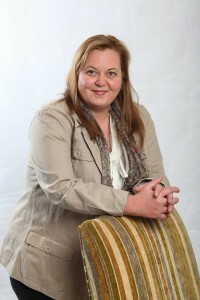 Comments Marna van der Walt, CEO of Excellerate Property Services: “In line with our vision to expand our service offerings, we identified First Air Group as a reputable, established company well suited to provide services to clients within the Excellerate Property Services group, while simultaneously continuing to grow and expand First Air’s existing operations. “First Air – now known as First Property Technical Services, is a direct fit with Excellerate Property Services as it dovetails into our ongoing, strategic focus on providing clients with a comprehensive and integrated range of property-related services both in South Africa and Africa. Already a respected operator in the mechanical and engineering environment in South Africa, First Property Technical Services is well established in KwaZulu-Natal, the Western Cape and along the eastern coastal regions. Now, with the infrastructural support and extensive network of Excellerate Property Services, they are ideally positioned to expand into the sizeable Gauteng market and other regions. “This partnership further enhances our existing comprehensive service offering to the property sector, providing added value and convenience for both our existing and potential clients. For example, a significant number of JHI Properties’ clients require mechanical and engineering services, which provides immediate business opportunities as well as synergies for cross-selling of other services provided within the Excellerate Property Services stable of companies,” adds van der Walt. First Property Technical Services operates a 24 hour call centre which offers clients a one-number call facility with one contact initiating its network of qualified, multi-skilled and specialist technicians and engineers, backed up by a 24 hour mobile service with a fleet of fully equipped vehicles.